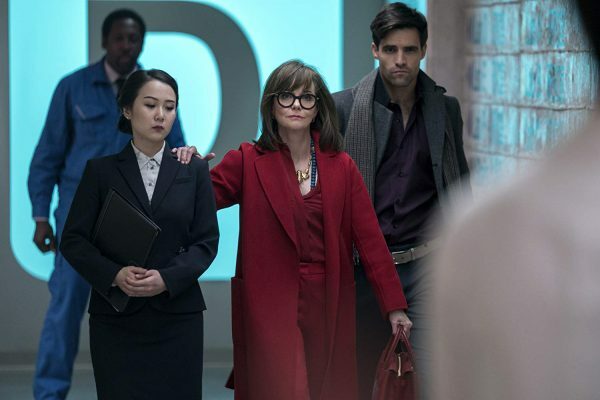 The series, created by Patrick Somerville and directed by Cary Joji Fukunaga, follows two strangers who connect during a mind-bending pharmaceutical trial. Maniac stars Emma Stone, Jonah Hill, Justin Theroux, Sonoya Mizuno, Gabriel Byrne, and Sally Field. Without giving too much away, the story is set in contemporary times but in an alternative world, similar to ours but not quite. 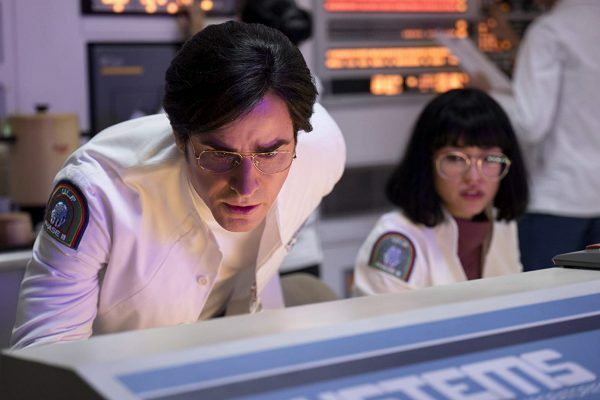 For starters, the environment has a strong late ’80s aesthetic – the computer technology equipment is reminiscent of that era – and yet the characters are dressed like they were living in the late ’70s! Familiar but strange. 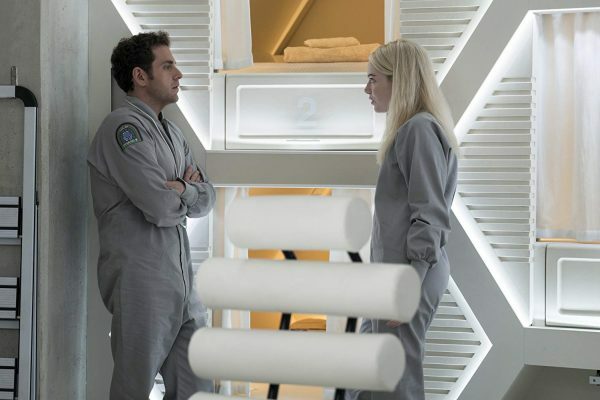 Mental illness is the dominant theme in Maniac – the main characters Owen Milgrim (Hill) and Annie Landsberg (Stone) – seek to be cured from past traumas via an experimental drug test conducted by Dr. Azumi Fujita (Mizuno) and Dr. James K. Mantleray (Theroux). This trial utilises fantasy dream worlds – very Dickian concept – to draw out Owen’s and Annie’s deepest phobias and for their minds to correct the problems in their psyche. What ensues is an inventive emotional roller-coaster ride as director Fukunaga employs multiple genre tropes to bring the main characters and the audience through the highs and lows of their surreal experience. Hill and Stone are excellent as the misfit couple that need to work together to save themselves not only from their worse selves but from an A.I. run amok. One of the best Netflix series of 2018. Don’t miss this! !